North America's largest roofing manufacturer selected Chameleon more than 15 years ago to partner in helping homeowners and contractors select roofing materials. Many generations later, users are still enjoying the latest technologies available to the roofing community. Click on the image to learn more. The largest roofing distributor in the world selected Chameleon Power to build the ultimate contractor visualization tool for its website. The PictureIt tool allows contractors and homeowners to collaborate on roofing, stone, siding, and window selections from the ABC product inventory. Click on the image to learn more. Leading building products manufacturer, Ply Gem Industries, expanded into roofing with composite slate. Chameleon Power, Ply Gem's web technology partner, built the ultimate slate design and selection tool for the launch. Click on the image to learn more. Major global roofing suppliers need leading visualizer tools for their large and growing group of contractors and homeowners. IKO selected Chameleon Power to enhance its relationships at the contractor and homeowner level, and utilized Chameleon Power visualization tools online and on mobile devices. Click on the image to learn more. Leading west coast roofing products provider, PABCO Roofing Products, upgraded its website and customer service with the Chameleon Power visualization tool. Roofers and homeowners can enjoy selecting PABCO materials with the HomeView roofing selector. Click on the image to learn more. 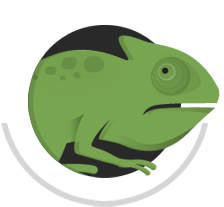 The leading web portal for homeowner services selected Chameleon as its visualization partner. Angie's List offers roofing and exterior visualization and selection tools to help homeowners with decisions and quality contractor referrals. . Click on the image to learn more. The leading roofing manufacturer in Canada, Building Products of Canada, selected Chameleon as its visualization partner more than five years ago, and BP and Chameleon continue to provide the best visualization experience available. Click on the image to learn more. Global building products manufacturer CertainTeed selected Chameleon to upgrade its visualization experience. The new ColorView tool provides a state of the art selection process that allows homeowners to view color accurate, high resolution images right from their desktop, or iPad using CertainTeed’s app. Click on the image to learn more. For over 50 years, DECRA Roofing Systems, a Fletcher Building company, has provided the industries most durable and cost efficient roofs. DECRA selected Chameleon to help specify this high-quality roofing solution through visualization and selections technologies. Click on the image to learn more. Malarkey, a leading provider of residential and commercial asphalt roofing, selected Chameleon to enhance its website and customer relationships. Featuring Malarkey products, RoofDesigner allows contractors and homeowners to view outcomes before purchasing. Click on the image to learn more.